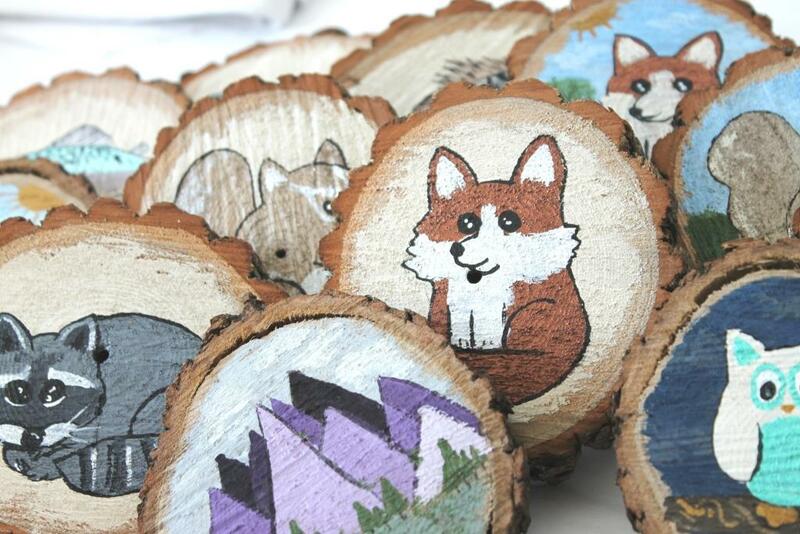 I've been having an excessive amount of fun the last two days painting away on some more of my salvaged wood circles. I have tons of new woodland paintings ready for the upcoming (but still fairly far away) holiday season. 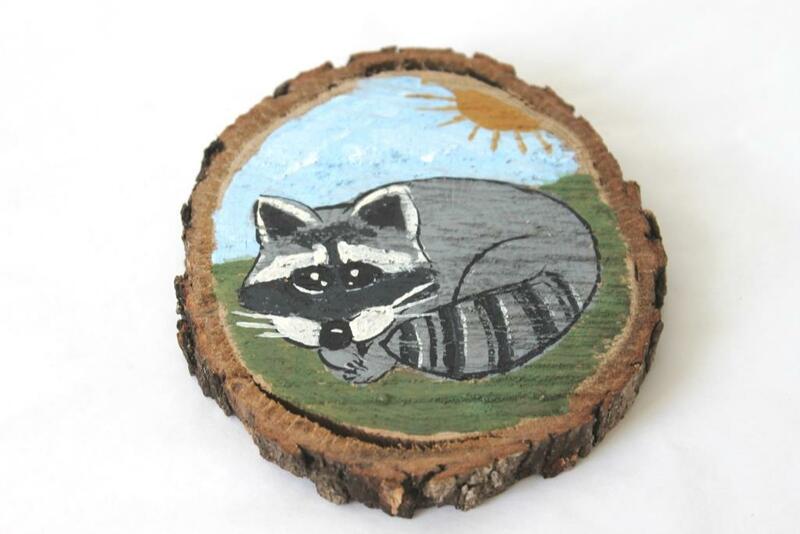 My new absolute favorite woodland critter painting is this cute little raccoon whom I have named Leopold. I normally think raccoons are pests, but this guy is adorable, and he's sorry about eating out of your trash can last night. I am never, ever selling him. However, I did paint Leopold 2 in his honor, and he (along with maybe Leopold 3 and 4?) will be hitting my Etsy shelves and some holiday craft shows in the near future. So look out world - I hope you can handle this gigantic amount of cute!